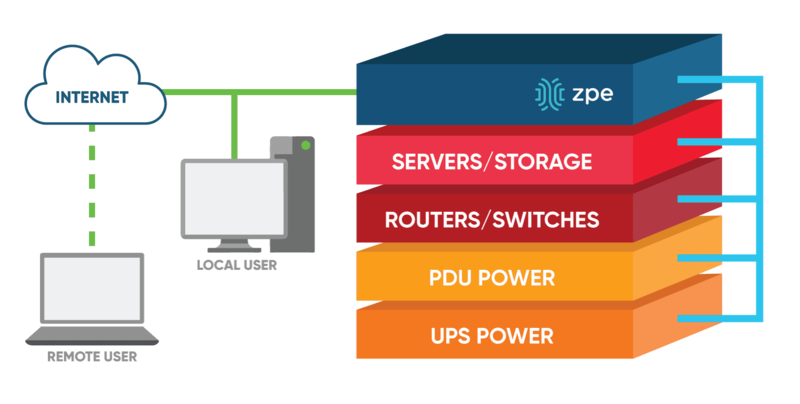 A top global networking company asked ZPE Systems for a high-density device with a very specific feature set. The customer needed a 96 port console solution that could do bulk port configuration, zero touch provisioning (ZTP), port hostname detection, 360 device search, port occupancy notifications, alerts, actionable data, and tacacs. ZPE Systems’ NodeGrid Serial Console™ and NodeGrid [CI]™ come in 1U 96-port configurations to allow for maximum use efficiency. Save precious rack space by implementing a high-density appliance, cut device and power costs by powering less devices at a higher port density. Fit 192 ports in just a 4U space (with 48 port NodeGrid Serial Console) or in 2U’s with NodeGrid Serial Console’s 96 port configuration. NodeGrid Serial Console is robust, extensible and programmable. NodeGrid Serial Console (NSC) helps data center managers improve productivity and reduce MTTR costs with the latest technologies. The world’s fastest serial console server also sports industry-exclusive system configuration security checksum™, bare metal booting and recovery capabilities, and Docker readiness. No competing product comes close. IT staff can manage more devices with fewer cables, IP addresses and configuration time using our industry-exclusive 1U 96 port serial console server. The NSC T-Series serial console server consolidates and manages attached devices via a Serial Port Connection including: servers, network routers and switches, storage, PDUs, UPSs, and any other device with a serial port. World’s first all in one vendor-neutral PDU, support for IPMI and IoT management ports.